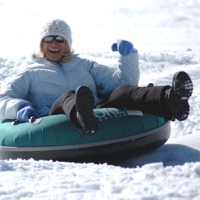 Enjoy the best snow tubing NY at ski resorts and other fine venues throughout the state. If you're planning a family vacation, we've listed a variety of places to go snow tubing in New York that both kids and adults will adore! Fun, Family-Oriented Snow Tubing in New York! The fun never ends at Ski West Mountain's snow tubing park, one of the few New York ski resorts to offer fun family-oriented winter recreation. The park includes a total of six tubing chutes. The two upper chutes are 1,000' long with a 100' vertical drop. The four lower chutes are 700' long with a 65' drop. The park features two dedicated lifts that will carry guests to the top time and time again. The minimum age for tubing is up to the parents' discretion, but it's recommended for children 4 and up. All small children are required to ride with a parent or adult guardian. 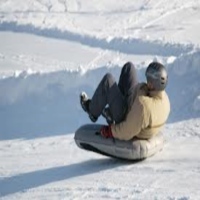 Snow tubing is a downhill ride that runs on specially designed snow tubes. The tubing hill, improvised with so-called “chutes” that resemble different sizes of snow-built waves. Each chute is unique in design (hills and valleys). Not only that you’ll simply slide down the hill, but you can also perform or do some heart-exploding tricks and techniques to uniquely enjoy your ride. One adventurous technique is “spinning” which shows the idea of you spinning inside your tube with the help of a hill staff. You can bring along your family and friends to this really entertaining and one-of-a-kind ride to experience fantastic happenings instead of locking yourself in your room every winter. See? Aside from playing with snowballs, you can extremely enjoy winter to its fullest! What are you waiting for? Try these awesome Snow tubing in NY- PolarWave Snow tubing or you’ll miss the fun! Looking for a fun and exciting place to spend a winter day at? 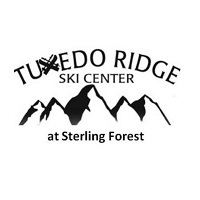 Come to Tuxedo Ridge Ski Center for some of the best snow tubing in NY. Less than 40 miles from NYC, the ski center is easily accessible to any New York family looking for fun in the snow. With a lift-serviced hill, you will have fun cruising down the hill without having to climb back to the top. You can surprise your kids and organize the most exciting birthday party they have ever had. The birthday party package includes: 1 hour 30 minutes of snow tubing, 2 hour private party room rental with a host, party supplies (tablecloth, plates, napkins, forks, cups), and pizza and soda. For more information, visit the website. 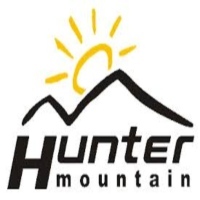 Hunter Mountain, Where Everyone Can Enjoy Snow Tubing! Come to Hunter Mountain and enjoy the fun activities that this wonderful winter resort has to offer. A fun-filled winter wonderland here in New York, Hunter Mountain offers fun activities such as snow tubing, riding ziplines, site seeing and many more. A perfect getaway destination during the winter for the whole family or a group of friends, the resort will make sure that you will have a fun and memorable experience where you can truly enjoy and have a great time. So make your plans in doing snow tubing and visit Hunter Mountain today. You will definitely enjoy the thrills and the excitement in riding a snow tube. 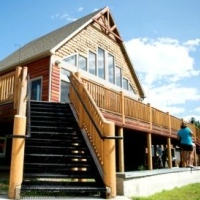 A winter Getaway At Thunder Ridge Ski Area! Plan your winter trip to Thunder Ridge Ski Area and enjoy snow tubing. The place makes a perfect destination where you can enjoy some quality time with your family and loved ones. 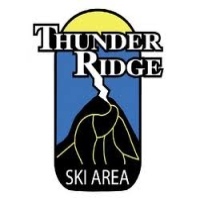 Thunder Ridge Ski Area offers to provide all the fun and excitement that you desire for. Activities include skiing and many more fun activities for the winter. This place will definitely make your holiday season a fun and exciting experience where you truly have a wonderful time. Come to Thunder Ridge Ski Area and enjoy snow tubing and other fun activities for the winter. You will definitely enjoy your stay in this amazing winter wonderland. Exciting Winter Trip To Glacier Ridge Snow Tubing! 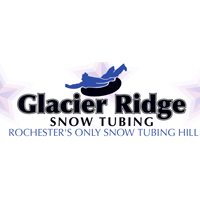 Come to Glacier Ridge Snow Tubing and enjoy the fun and exciting experience of snow tubing. The winter resorts make a perfect destination here in New York and a place where you can enjoy the spectacular scenery and appreciate the beauty of the landscape. Perfect for family outings during the holidays, Glacier Ridge Snow Tubing is where you can enjoy all the action of snow tubing and experience the excitement and all the thrills that go along with it. Plan your holiday vacation and come to Glacier Ridge Snow Tubing where you can enjoy the great experience of snow tubing and have a memorable time doing that fun activity. Snow Tubing At Maple Ridge Center! A perfect place to spend your winter getaway here in New York, Maple Ridge Snow Park is great for family outings and enjoying the winter snow. 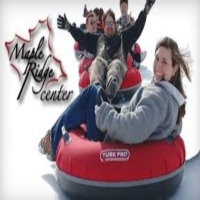 Maple Ridge Snow Park is home to the largest snow tubing hill in northern New York with 13 lanes over 1200 feet long and over 100' vertical drop. It will definitely be an exciting activity where you can experience the rush and the thrill of this amazing winter activity. Come to Maple Ridge Snow Park and enjoy the thrills and excitement of snow tubing. You will surely enjoy this wild winter activity and will want to come back for more. Exciting And Exhilarating Fun At Windham Mountain! 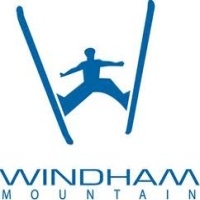 Enjoy your winter holiday at Windham Mountain, a perfect place for family bonding and hanging-out with your friends. The winter resort offers to provide all the fun and excitement where everyone can enjoy a wonderful experience doing some fun winter activities. Activities offered include snow tubing, big air bag, ice scatting, Euro bungy and skiing. All activities are guaranteed to be fun and exciting for everyone who seeks pleasure to thrills and excitement. A great place to have a getaway trip here in New York, Windham Mountain simply makes your experience here an exciting one where you enjoy and have fun. Visit the website and see the scheduled dates of their operation. Winter Vacation Fun At Gore Mountain! Looking for fun and excitement during the winter season? Look no further and come to Gore Mountain where you can enjoy winter activities such as snow tubing, snowboarding, skiing and many more. Gore Mountain is the perfect winter getaway here in New York where you can enjoy loads of fun and spend some good quality time with your friends or family. Simply a winter wonderland here in the great state of New York, Gore Mountain offers all the fun and excitement that you could ask for. Come to Gore Mountain and enjoy snow tubing and other winter sports activities. Book your reservations and visit their website today. A Fun Activity During The Winter Season Here In New York! Visit Sawkill Family Ski Center where you can enjoy all the fun winter activities and experience all the thrills and excitement that you could ever ask for. Try snow tubing here in Sawkill Family Ski Center. You will definitely enjoy this wonderful experience and have a great time doing this action packed activity. Sawkill Family Ski Center is definitely a place to be for having a great time during the winter holidays. Come to Sawkill Family Ski Center and experience all the fun and excitement that you could ever ask for. Contact Sawkill Family Ski Center by visiting their website or by phone and inquire about their dates of operation and for booking of reservations. Winter Fun At Rocking Horse Ranch Resort! A perfect place to enjoy the winter holiday here in New York, Rocking Horse Ranch Resort offers lots of fun winter activities. Such include snow tubing, skiing, horseback riding, ice skating and many more. This amazing winter resort is definitely a great place to spend some quality time with your family and enjoy some great times together. Come to Rocking Horse Ranch Resort and experience all the fun and excitement that this winter resort has to offer. Make your stay here a memorable experience where you enjoy all the fun winter activities with your family. Book your reservations and contact Rocking Horse Ranch Resort today. Snow Tubing Here At Holiday Mountain! Plan your winter holiday vacation here in New York and come to Holiday Mountain where you can enjoy snow tubing and other fun winter activities like skiing and snowboarding. The resort makes a perfect place to spend some quality time with your family and hang-out with your friends to enjoy all the fun activities together. 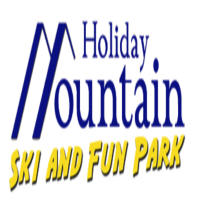 Holiday Mountain will make sure that your stay here will be a fun-filled experience where you enjoy and have a great time. So come to Holiday Mountain and make your stay here a memorable experience where you are having a wonderful time. Visit the website for information about the schedules of operation on their winter activities. A Place For Fun During The Winter! A perfect getaway destination here in New York, a place where you can enjoy the fun and excitement of snow tubing, Tubby Tubes is where you can enjoy it all. Snow tubing at Tubby Tubes will definitely be a fun experience for you and your family. With 10 unique snow tubing lanes perfect for satisfying the thrill in you, this winter resort will surely make your day here a worthwhile experience where you can enjoy all the excitement and adventure. 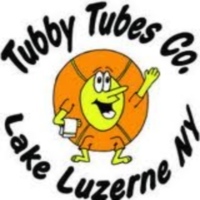 Come to Tubby Tubes and experience for yourself all the fun and excitement of snow tubing. Book your reservations and contact Tubby Tubes through their website or call them at their hotline number.